Budding Artist – 365, 256, originally uploaded by Fluttering By. 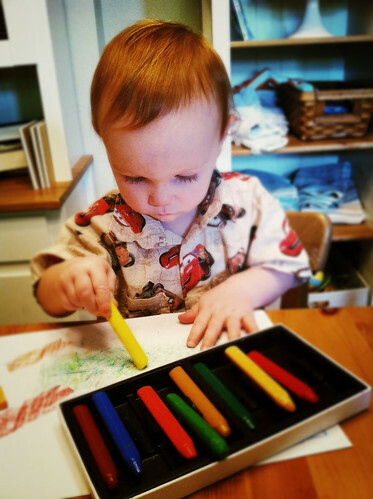 Ever since we’ve gotten our new crayons and have been drawing regularly, Marcus has wanted to get in on the action. Today, he got his chance. After we were finished up with our school drawings he climbed up on his chair and went to town. He was captivated for almost a half hour. Guess we have to order his own crayon set now!